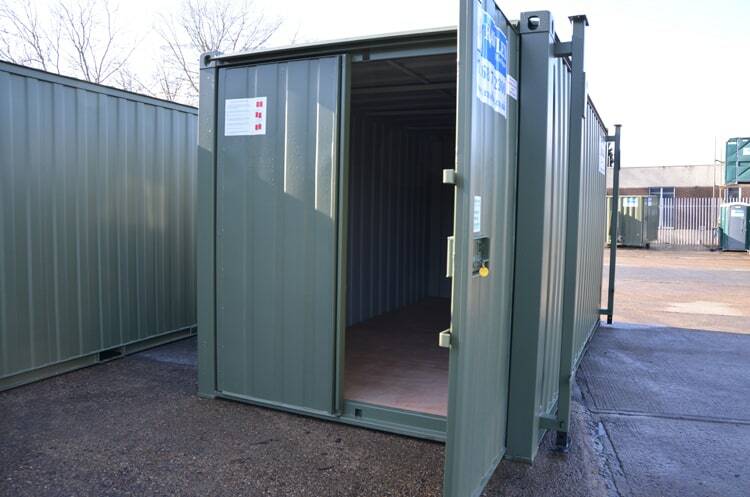 Secure, anti-vandal site storage space on site is essential for ensuring the security of tools, equipment and materials. 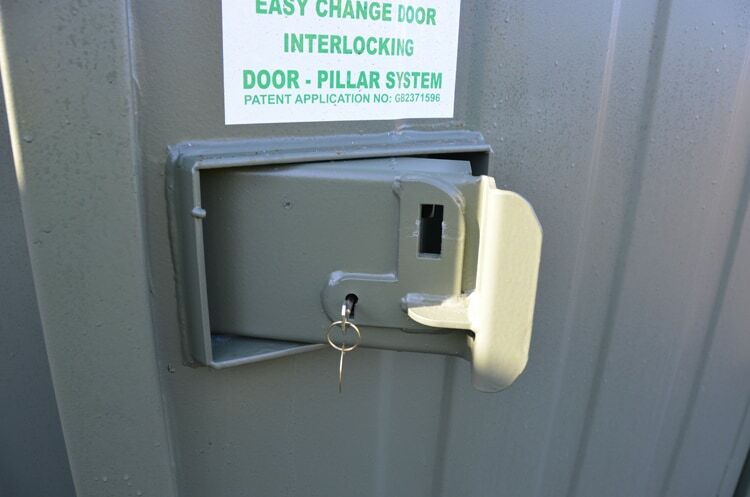 Our steel anti-vandal site storage containers come with double width access doors, double locking mechanism and door stays as standard. This helps you provide security and safety on site. Racking is available upon request. All our standard cabins are steel, anti-vandal units with high quality interiors. Adjustable jack-legs for uneven ground positioning. Our site storage containers are delivered using a lorry-mounted “HIAB” crane. For more information about transportation please click here. Yes, as long as the ground is solid enough to take the weight of the delivery vehicle and storage container. Ideally ground should also be as level as possible. For more information about access and siting please click here. No. The secure site storage container does not have lighting or a requirement for a power supply.